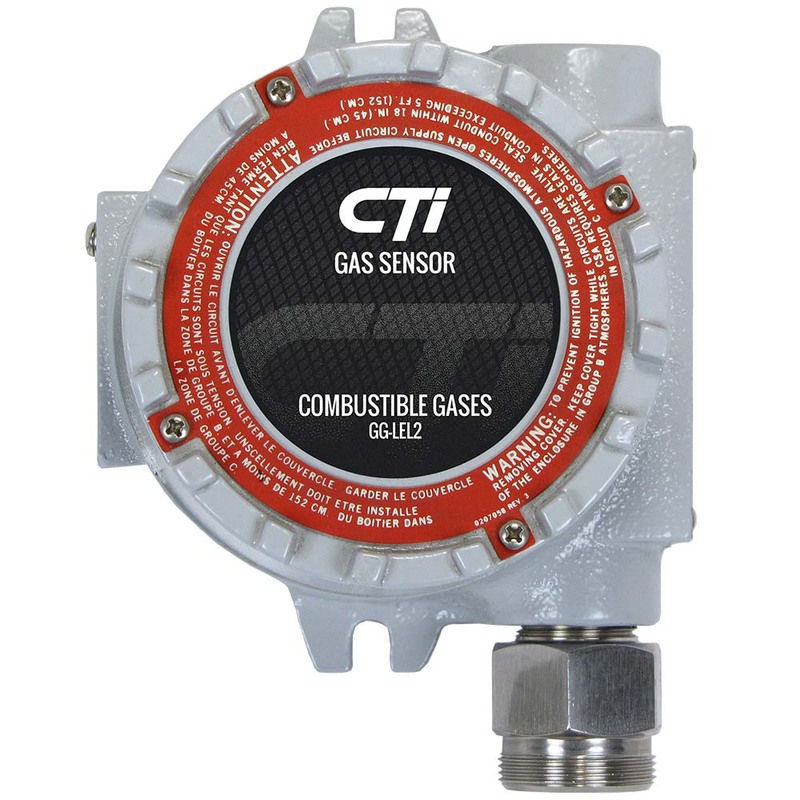 CTI GG-LEL2 Combustible Catalytic Bead Gas Detector Transmitter (0-100% LEL) for Methane (CH4), Hydrogen (H2), Propane (C3H8), N-Butane (C4H10), Ethane (C2H6), Ethylene (C2H4), N-hexane (C6H14) or N-pentane (C5H12). 4-20 mA output, 24VDC power supply. Explosion proof Copper-free aluminum enclosure for Class l, Div 1, Groups B, C & D. CSA, UL, FM, ATEX and IECEx approved. Optional Relay output. The GG-LEL2 utilizes catalytic-bead sensor technology with a matched pair of detector elements. 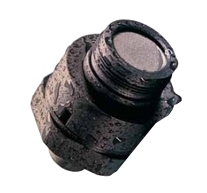 When combustible vapors enter the sensor, the passive bead remains unchanged while the active detector bead catalyzes the oxidation of gas, generating heat and changing its resistance. The resulting change in resistance is accurately measured across the bridge circuit. The GG-LEL2 sensor provides an industry standard linear 4/20 mA output signal proportional to 0-100% LEL of the target gas. 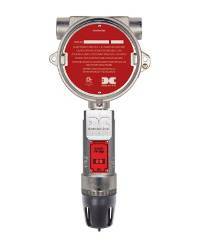 The transmitter is compatible with most gas detection systems and PLCs. Long sensor life with minimal span adjustment can be expected in most applications. 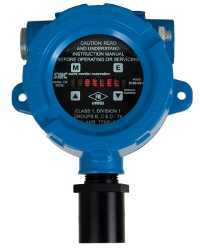 The sensor is designed for simple calibration and is field replaceable. 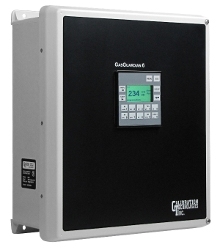 The GG-LEL2 is designed to detect and monitor potentially explosive levels of combustible gas vapors in air within the range of 0-100% LEL. A 3⁄4� NPT threaded conduit entrance is provided on the top of the transmitter housing. Mounting tabs are provided for support of the GG-LEL2. Long sensor life can be expected in most mechanical room applications with a typical sensor life of 5-8 years. Field replaceable sensor element keeps long term maintenance simple and low cost. Enclosure: Copper-free aluminum body, epoxy powder coat finish, neoprene gasket, for hazardous areas. Sensor Head: Stainless steel flameproof enclosure constructed ith an integral stainless steel sinter filter for the safe entry of the atmosphere being detected. > GAS DETECTORS > LEL CATALYTIC BEAD : 20 Items found. 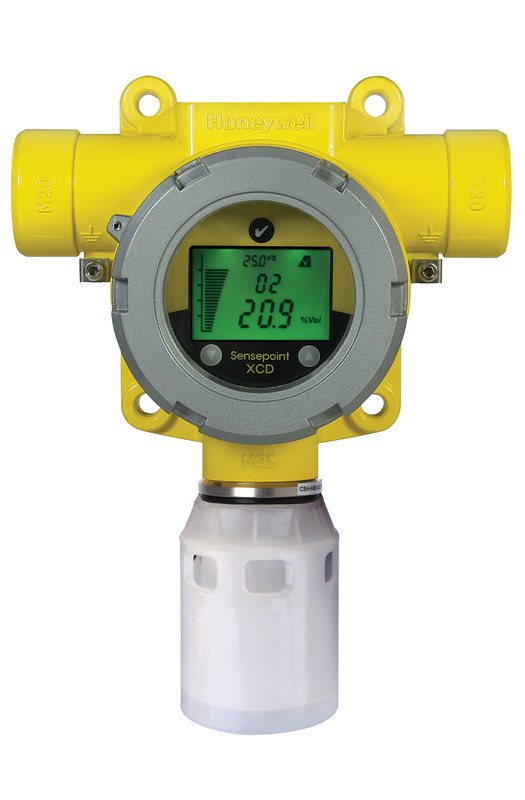 Honeywell Zareba Sensepoint Gas Detector Transmitter for Methane (CH4) 0-100% LEL (combustibles) complete with pre-wired universal junction box (1 threaded M20, 1 clearance 3/4"NPT, 1 clearance 1/2" NPT, 3 approved stopping plugs, earth continuity plate) and factory set toxic gas sensor. 3 wire bridge output. ATEX Approved. Poison resistant catalytic bead. Honeywell Sieger Sensepoint Gas Detector Transmitter with LEL Sensor for explosives/combustibles 0-100% LEL 3-wire mv Bridge output. ATEX/IECEx Certified. Intec Controls PolyGard SPC3-3300 Sigle-Point Gas Detector for Combustibles 0-100% LEL (Catalytic Bead), 2 relay outputs, 1 4-20mA & 2-10V analog output, 83 db horn. Wall mounted. NEMA 4X Enclosure. Accepts one additional analog remote device and a secondary gas, temperature or humidity sensor. UL Listed and CSA Certified. Available gases: Methane, Methyl Ethyl Ketone, n-Butane, n-Octane, n-Pentane, Propane, Acetone, Jet A, JP8 and Toluene. Intec Controls PolyGard SPC3-3300 Sigle-Point Gas Detector for Combustibles 0-100% LEL (Catalytic Bead), 2 relay outputs, 1 4-20mA & 2-10V analog output, 83 db horn. Wall mounted. NEMA 4X Enclosure. Accepts one additional analog remote device and a secondary gas, temperature or humidity sensor. UL Listed and CSA Certified. Available gases: Ammonia, Ethylene, Ethyl Alcohol, Ethyl Acetate, Benzene, n-Hexane, n-Heptane, Hydrogen, Isopropyl Alcohol and Methanol. 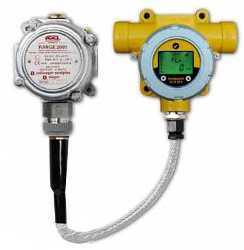 GDS GDS-48 Remote Gas Detector Transmitter with Stainless steel sensor head configured with Catalytic Bead for Combustibles LEL (specify gas) with range 0-100% LEL (Lower Explosive Limit). 3-Wire Bridge Output. Available calibrated to Methane (Natural Gas), Ethane, Ethylene, Hydrogen, Butane, Pentane, IPA, Methanol, MEK, Propane, Propylene, Pentane and many others. CSA Certified for Div. 1 Explosion Proof. Macurco Ex Series Explosion Proof Catalytic Bead Gas Detector for detection of Combustible Gases 0-100%LEL. Includes 4-20 mA Output, 3 Onboard Relays, Modbus RS-485 Communication and LCD Digital Display. Aluminium Enclosure. IP66. FM and CSA approvals for Class I Division 1. Optional calibration to Methane, Propane, Pentane, Methanol, Hydrogen, Ethylene, Acetone, Butanol, Butane, Benzene and other combustibles. 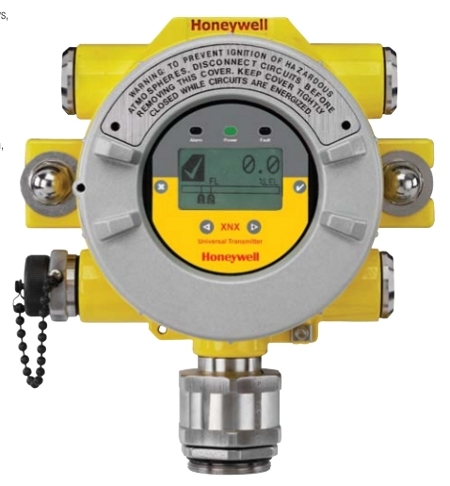 Honeywell XCD Sensepoint Gas Detector, CATALYTIC BEAD combustible 0-100% LEL (Lower Explosive Limit) Methane CH4 (natural gas) with aluminium housing (optional stainless steel), stainless steel sensor head, explosion-proof IP66, 3-wire 24 VDC power, include 2 programmable alarm relays, 1 programmable fault relay and 4-20mA output (sink or source selectable); Modbus RTU option available. User-Selectable full scale range 20%-100%, can be calibrated to several other combustible gases. UL/CSA Class I Division 1 or ATEX IECEx available. 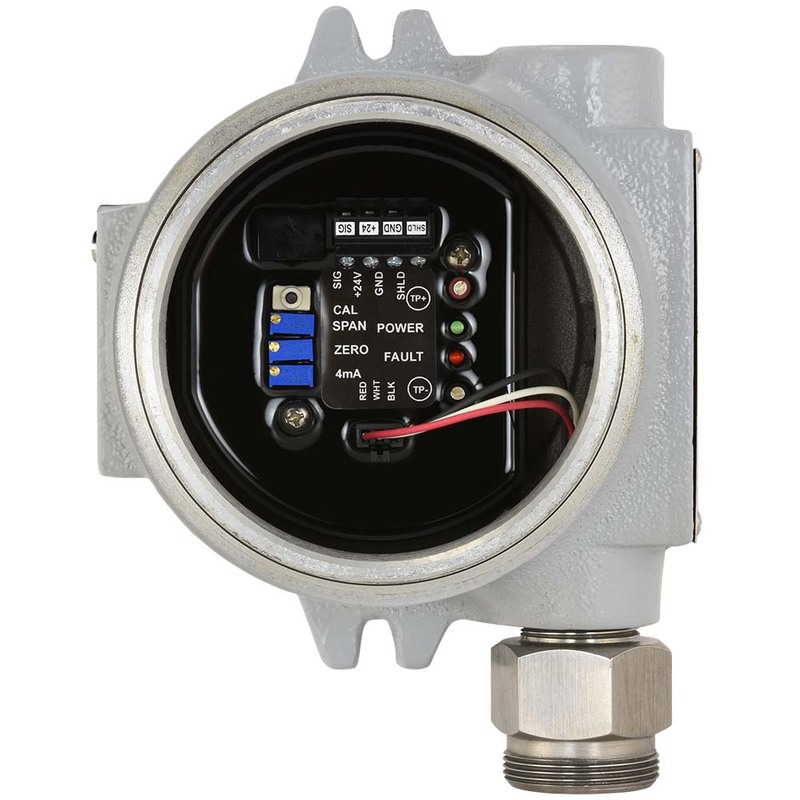 Detcon MicroSafe FP-524D Smart gas detection Sensor designed to detect and monitor combustible gases with range 0-100% LEL using matched-pair catalytic bead sensor technology. Aluminum Junction Box. 4-20mA output. LED Display. Explosion Proof. IP66. 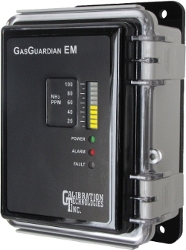 CSA and ISA Approved for Class I, Division 1, Groups B, C, & D.
Sierra Monitor 5200-02-IT Combustible 0-100% LEL Gas Leak Detector (Catalytic Bead) for methane and others gases. ModBus RTU-485, 4-20mA output, HART interface and optional alarm relays, Explosion proof NEMA-4X Aluminium Enclosure. IP66. IP65. 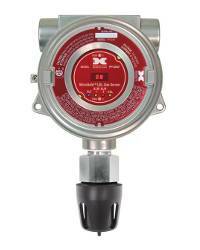 FM, SIL-2 and ATEX approved. Class I, Div. 1, Groups B, C, D.
Simtronics MultiXplo DG-TX7 Intelligent Flammable Catalytic Bead Gas Detector for Combustibles: Methane (CH4), Propane (C3H8) or Butane (C4H10) 0-100% LEL. Stainless Steel housing with integral display. Configurable output. IP66. ATEX and IECEx approvals. Honeywell Sensepoint XCD RFD (Remote Flammable Detector) Kit. 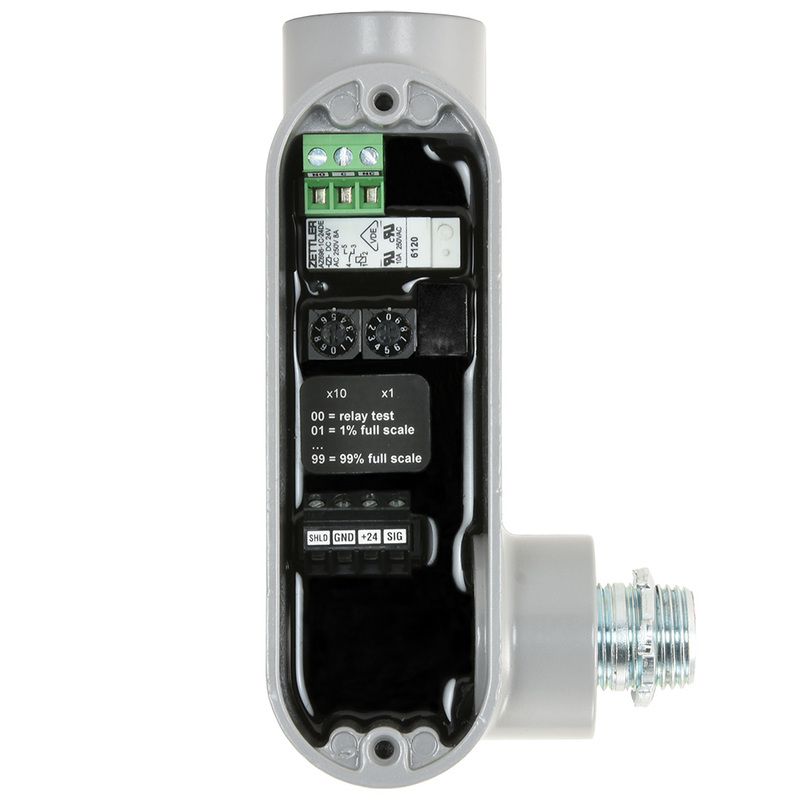 Includes transmitter with LM25, 3/4�NPT Entry, 705 sensor, and 3 wire junction box. Tri-colour backit display. 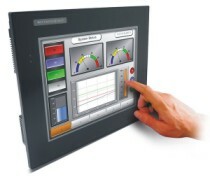 Outputs include 2 programmable alarm relays, 1 programmable fault relay, 4-20mAoutput (sink or source selectable). 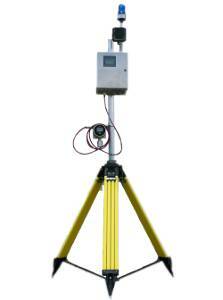 Sensor can be mounted up to 30 metres (100 feet) from transmitter. cCSAus Certified for North America. 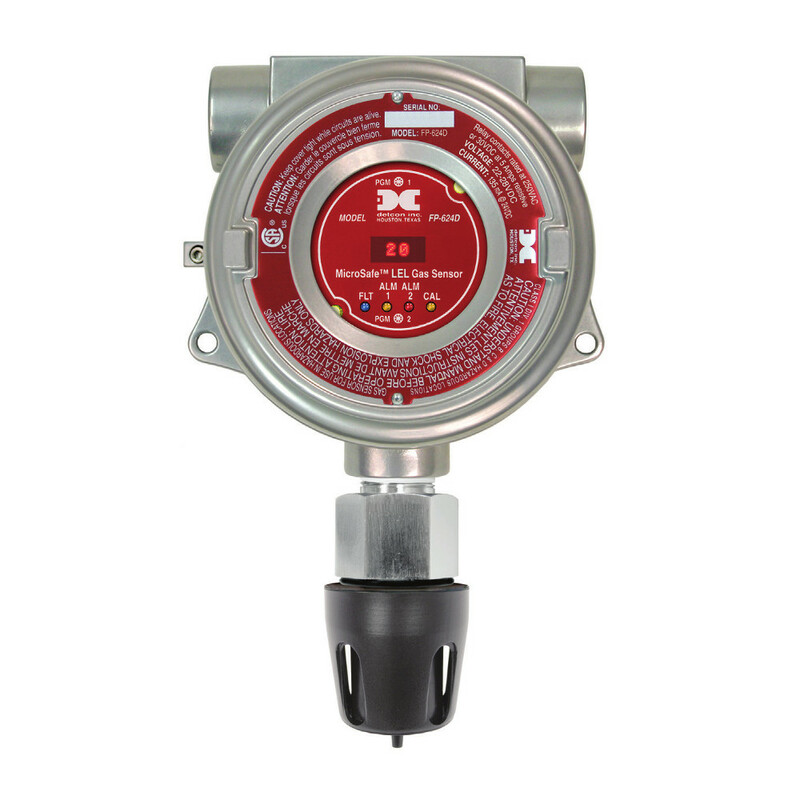 Class 1, Div 1, Groups B, C, & D.
Detcon FP-700 non-intrusive Smart Sensor designed to detect and monitor combustible gases with range 0-100% LEL using catalytic bead sensor technology. Aluminum or Stainless Steel Junction Box. 4-20mA and Modbus RS-485 outputs. LED Display. Explosion Proof. IP66. CSA, ATEX, CE and SIL2 Approved. 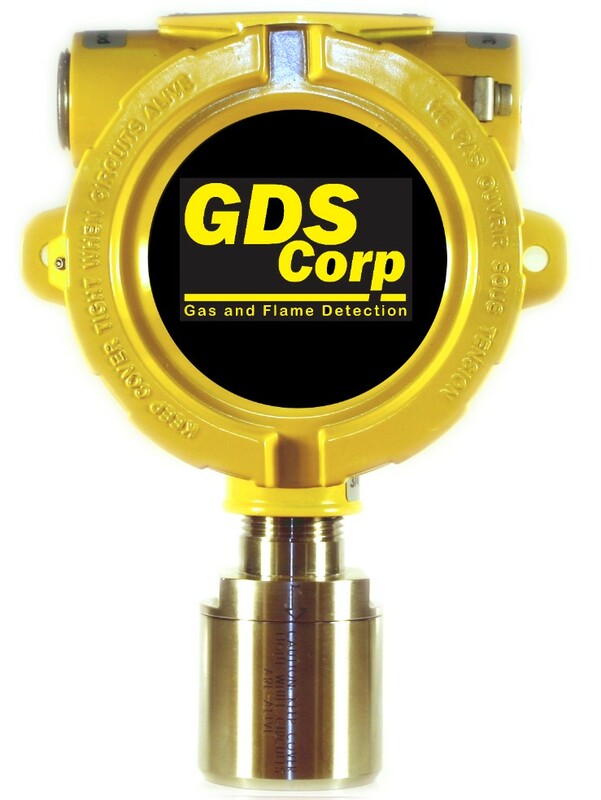 GDS GASMAX II 3-Wire Gas Detector with local stainless steel sensor head configured for Catalytic Bead sensor for Combustibles LEL (specify gas) with range 0-100% LEL (Lower Explosive Limit), 4-20 mA output transmitter with optional Alarm Relay Board (3x 5A SPDT) and RS-485 Modbus RTU. Available calibrated to Methane (Natural Gas), Ethane, Ethylene, Hydrogen, Butane, Pentane, IPA, Methanol, MEK, Propane, Propylene, Pentane and many others. 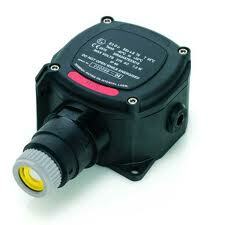 Detcon FP-624D Combustible 0-100% LEL Smart Sensor with catalytic bead. 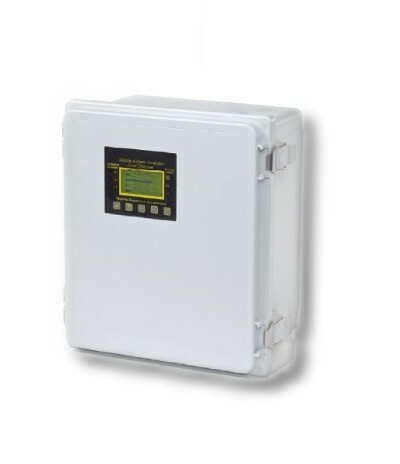 Includes detector in stainless steel housing, base connector board, explosion proof enclosure, splashguard, 4-20 mA output, RS-485 serial communication and 3 alarm relays. IP66. 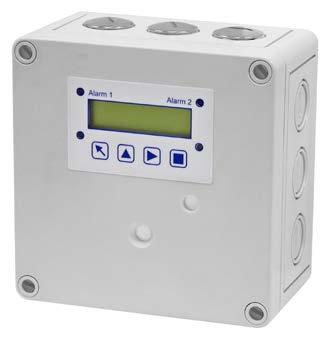 CSA approval for Class I, Division 1, Groups C & D.
GDS C2 2-Channel Gas Detector Integral Alarm Controller with local DELRIN sensor head with integrated Catalytic Bead sensor for Combustibles LEL (specify gas) with range 0-100% LEL with standard 2x 5A SPDT relays, with optional visual-audible alarm, in standard CSA approved, Class I, Division 2 - NEMA 4X non-metallic enclosure 120 VAC, ready to use. 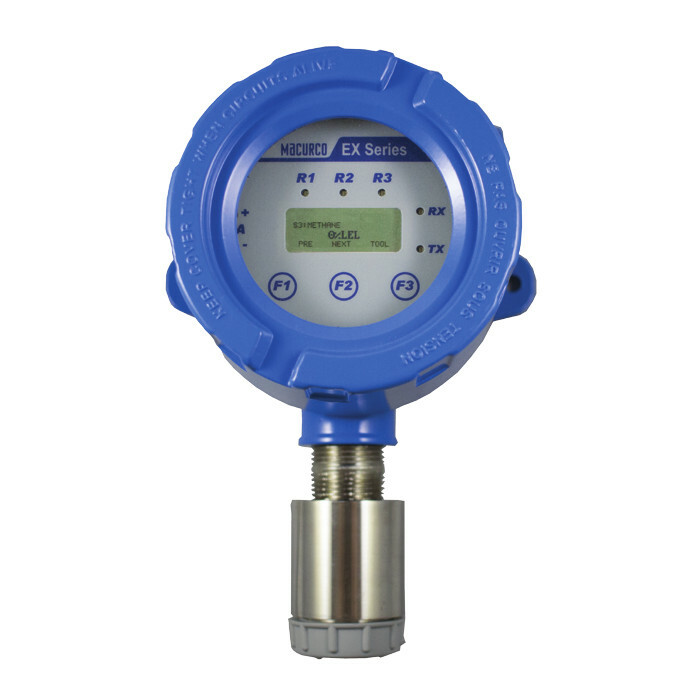 With second channel available for optional sensor for EC/Toxic, catalytic, IR or PID sensors.Pushbutton Zero and Span calibration for direct sensors. Available calibrated to Methane (Natural Gas), Ethane, Ethylene, Hydrogen, Butane, Pentane, IPA, Methanol, MEK, Propane, Propylene, Pentane and many others. 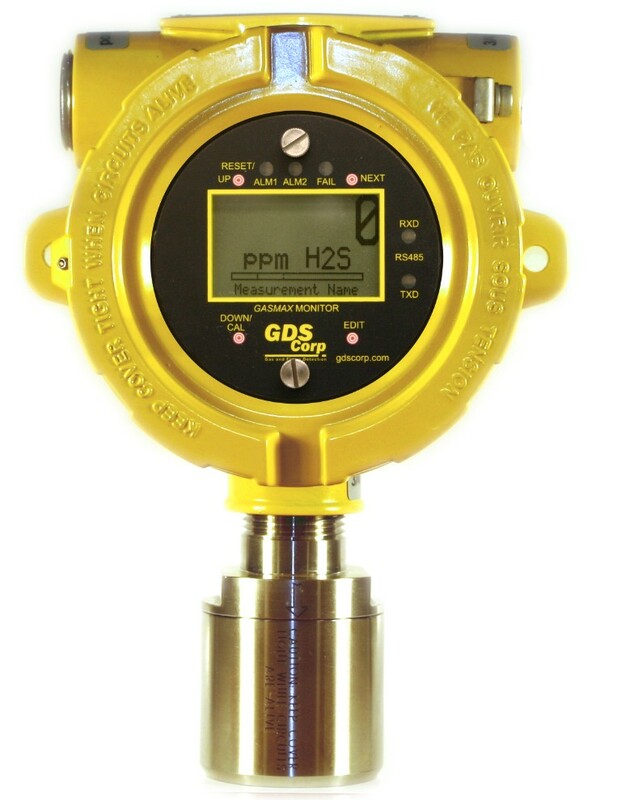 GDS GASMAX CX 3-Wire Gas Detector with local stainless steel sensor head configured for Catalytic Bead sensor for Combustibles LEL (specify gas) with range 0-100% LEL (Lower Explosive Limit), QVGA color TFT display, 4-20 mA output transmitter, Ethernet Modbus TCP RJ-45 port with built-in web server. Optional Alarm Relay Board (4x 5A SPDT) and RS-485 Modbus RTU. CSA Certified for Class I, Div 1, Grps B, C, D. Available calibrated to Methane (Natural Gas), Ethane, Ethylene, Hydrogen, Butane, Pentane, IPA, Methanol, MEK, Propane, Propylene, Pentane and many others. 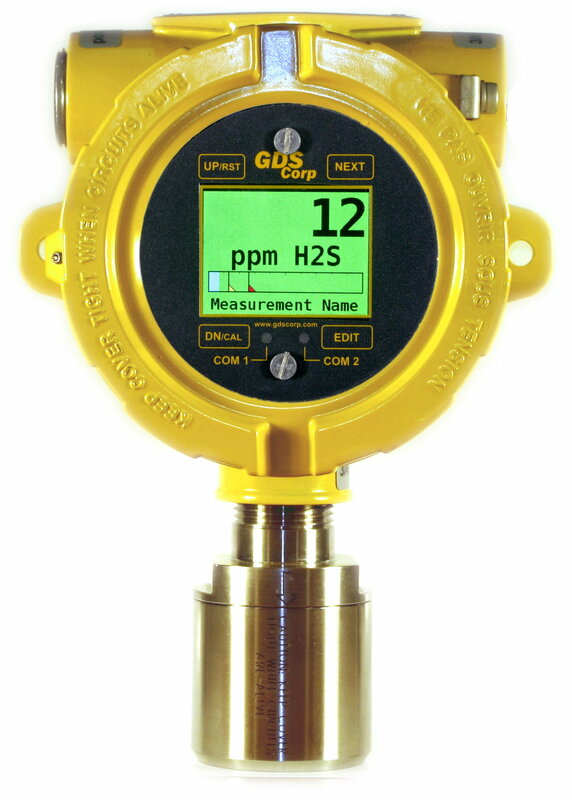 GDS GASMAX IIx Sigle Channel Wireless Gas Monitor with local sensor head with Catalytic Bead sensor calibrated for Combustibles LEL (specify gas) with range 0-100% LEL (Lower Explosive Limit). A1, A2 and Fault LEDs for rapid recognition of alarm. 900 MHz or 2.4 GHz Integrated Modems and standard 4-20 mA outputs, 24 VDC. 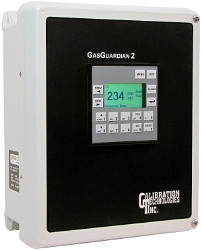 Available calibrated to Methane (Natural Gas), Ethane, Ethylene, Hydrogen, Butane, Pentane, IPA, Methanol, MEK, Propane, Propylene, Pentane and many others. 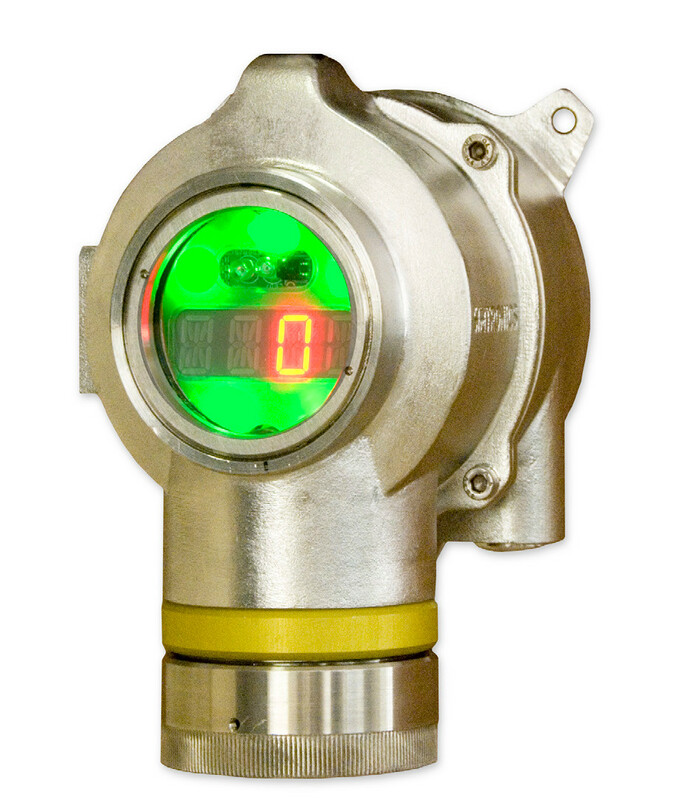 GDS RigMAX Single Channel Gas Monitor with Integrated strobe and 99dB horn with Catalytic Bead for Methane with range 0-100% LEL (Lower Explosive Limit). Includes backlit display and 100 ft #18GA neoprene power cable. 24 VDC. Aluminium Housing and 4 point magnetic mount. CSA Certified for Class 1, Div 1, Groups B, C & D. Available calibrated to Methane (Natural Gas), Ethane, Ethylene, Hydrogen, Butane, Pentane, IPA, Methanol, MEK, Propane, Propylene, Pentane and many others.